Android is one of the most popular platforms for mobile devices(Smartphones) nowadays. With a lot of priceless, easy to use and very handy features it is one of the unique open source OS. So in this Android world where you are already enjoying its lot of amazing functionality and features, you need something different to make your Android device more enjoyable and Fun. To get this opportunity you should really try some of the best offline Android games. The benefit of using Android, if seen from the entertainment side, you will find Developers are always developing something for the Android. So that simply means that Android is not limited as other OS in the area of entertainment. Even you get those stuff for free. If we talk about iOS then you have to pay even for only downloading those games but in Android most of the time you get these for free. Android Games are two types, online and offline. Online games can only be played using the internet while offline games are playable without the internet. 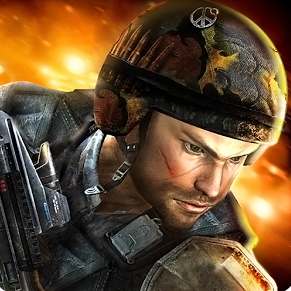 Online games give you a lot of features and OS like Android has a lot of amazing Android games. But that can be so much frustrating for you when you are not having an internet connection and you really feeling bored or it can be a situation that you are having the internet but the internet speed is too much slow and not capable of playing your favorite online game. So that case turns your head into Offline games where you can spend your free time enjoying/playing Offline games on Android without having any worry of internet connection. For Playing offline games on android you should really know what are the best Android games to play. So we have prepared a full list of Best offline Android games that you can try on your Android without an internet connection. It is a Zombie Action fighting Game that can be in this game you have to create your Zombie fighting team to fight with other zombies and show your skills of fighting to those zombies. You can choose from the array of bone-crushing weapons to fight. It gives three classes of zombies with unique skills, strength, power, attacks, and ability to defeat mighty opponents. Very responsive game to play. It is a challenging first person action-puzzle game that lets you Solve the ENIGMA. If you think this is like other puzzle games in which the puzzle pieces fall from the sky and you have to solve that then you are totally wrong. This is the 2nd generation of Puzzle game and very unique. With over 30 levels of this game, you will see the increment of your abilities with each level. Supported over 10 popular languages such as English, French, Spanish, German, Japanese, Russian etc. In this game, it will take real skill to escape where you are being held hostage and save your sister. 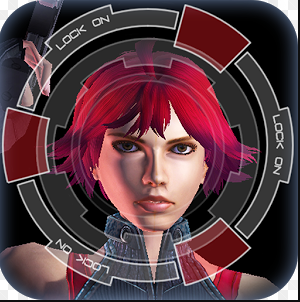 Heroes Reborn is a very interesting game in the category of puzzle games. 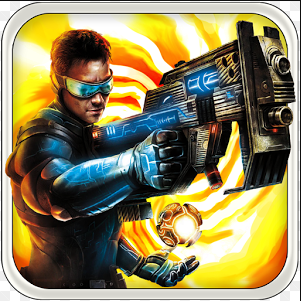 A fully weaponized game with each level of action. Very Intuitive Touch Controls and make gameplay smoother. For Android, it supports MOGA controller. Unparalleled Customization so you can set the UI layouts and many other elements the way you want. with over 9 Unique locations. Throughout your adventure, you will learn new theories and connections in an effort to discover the truth behind the invasion and much more. You will face 18 different aliens in this game. You will be attacked suddenly if you don’t use All Seeing Eye to reveal the hidden objects. You can use Wireless Bluetooth Controller for Android. This is a Perfect Advanced console-style stealth action game. 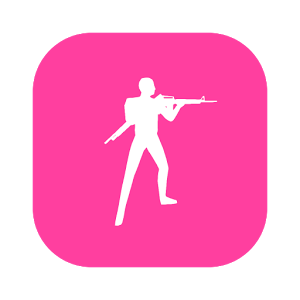 In this game, you will have Freestyle dual pistol control that you can use for shooting two targets at the same time and control each hand separately. All you need is find the enemy to shoot. Having 45 stages in the game with different patterns so it looks completely new and surprised in every stage. This game is never easy, the more you play, the more achievements you will get. On the list of Adventure games, this game is very popular and interesting. 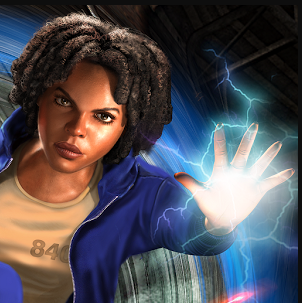 This is a freestyle adventure game. Play this game like Vice city. You can punch any people next to you, or shoot them even you will get 15+ weapons in this game. Stole any card and ride anywhere. This game has 3D graphics which is fair enough to play and enjoy each move done by you. It is an ultimate arcade racing game. You can drift around tight turns at over 150 MPH. With Over 300 customization possibilities to create your dream machine and 6 game-changing Perks give you advantages that you will appreciate. In the challenge mode, it can be played with 8 multiplayer at a time. You can connect your Facebook account to gain some reward as well. Play over 108 racing competitions across 6 Grand Prix Series. Explore the islands of Uncharted Seas that full with traps dangers, secrets and many puzzles. Fight with monsters in your way. Discover ancient treasure by using your magic. 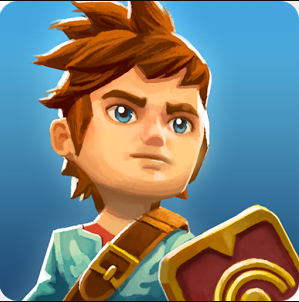 Oceanhorn has such good 3D visuals with exciting gameplay into one massive action adventure experience and Accurate Touch controls that you will love. This game is little heavy takes 1GB Ram to operate or run. But this game is freely available to download in google play store and can be played without an internet connection. 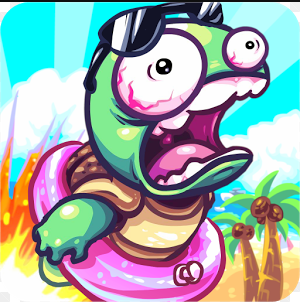 This Game is a survival island where you are up to exploring the world around zombies. Move from one place to another and feel the open world and suddenly you will get danger. 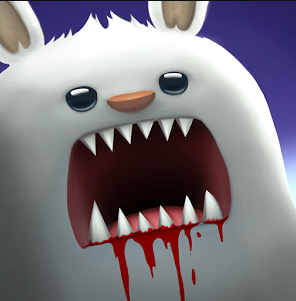 Zombies and dangerous creatures will attack you and try to kill you. But you have to survive as long as you can. Find weapons, treasures and save yourself. You can use different weapons to kill those creatures. Fly over the sky or jump into the sea or use everything you can find. It is a paid game but it can be played offline. Realistic Offline android games like this one, are hard to find. It is an amazing fun game however it is under Action game category but its graphics will remind you some fun not too serious. In this game, you have to save your cottage that is under attack by seeing animals and flies in the sky. You will get a variety of options for the weapon to choose from such as the mighty shotgun, the reckless minigun, and the super atom bomb!. All you have to do it use any weapon that suits the situation of attack to destroy those Critters. However, you can purchase more weapons. 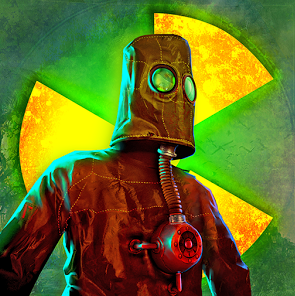 This Android game is totally free to download and play. Choose from the variety of animals and shoot as far as possible using different gadgets such as cannons, guns, bombs, jetpacks, rockets, nukes, and many others. This is very classy game little similar to angry birds and free to play. Has over dozens of different canons and guns. You can roll over 80 achievements. Very Enjoyable and Fun offline Game. 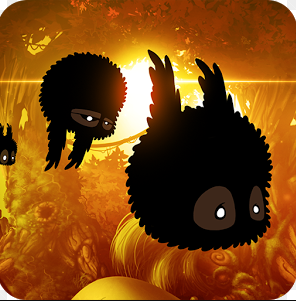 BADLAND is one of the popular adventure game for android users. It has over 10 million downloads on play store. In this game, the player finds out there’s something terribly wrong and discovers an astonishing number of imaginative traps and obstacles on the way. It has a highly original local multiplayer mode for up to four players on the same device in 23 levels. Intuitive one-touch control for an excellent game experience. 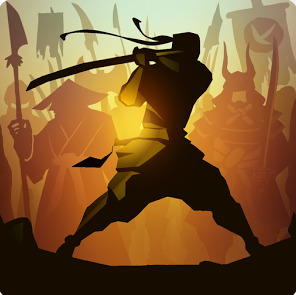 Shadow Fight Become one of the most downloaded offline Android game in time, with over 100million downloads on play store. The player the shadow who fights for his life until he wins. Your fight moves strategy can give you wings to win. It has such amazing animation and lot of unique fighting styles with some magical powers that you can use between fighting. Shadow Fight 2 is the excellency of a Classic fighting game. Hitman Go is a clever and refreshing game. You have to strategically navigate fixed spaces on a grid to avoid enemies and take out your target into a well-guarded location. You will face different enemy types with unique and deadly behaviors. 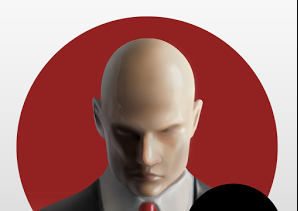 Also get Agent 47 tools of the trade such as Distractions, disguises, hiding spots, sniper rifles, and even the iconic Silverballers. 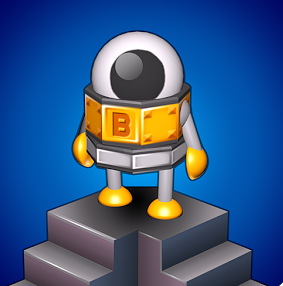 Each level can be completed in a lot of different ways because it’s a puzzle game. A great mesmerizing trance of co-dependence. The concept of playing this game is very simple all you have to do is control two dots in sync and survive against objects falling into you. As long you can save those dots (vessels) from falling objects you will be safe and play the game to the next level. However, some advertisements can come between your game and in order to remove them, you can buy its premium version if you are using a free version. But whatever the situation is, this is such nice game in Arcade Category. 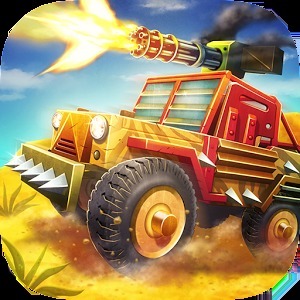 Face Zombies with your monster truck and kill them with Machine-gun, shotgun, rocket launcher, and electric gun. Go between mountains and crush zombies with your truck. Unlock and upgrade your weapons time to time. 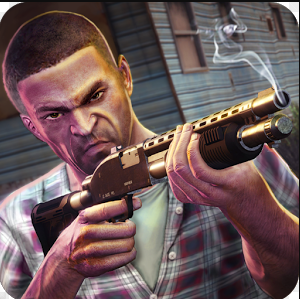 Shoot zombies with a gun to complete the challenge and move to next level. More than 10 vehicles to drive and each vehicle comes with its unique capabilities. 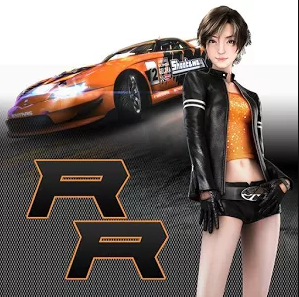 Such a fun game to play under Racing category but compilation and taste or other categories too. 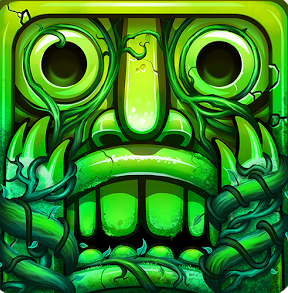 Temple Run 2 is one of the most popular offline game that is popular around the world. It has over a zillion downloads on google play store. This is an endless running game. This game is a sequel to Temple Run and both are developed by imangi Studios but Temple Run 2 is much way better than Temple Run with better graphics, new environment, and more power-ups etc. Mind game lovers should play this game. This is a unique puzzle game. Collect stars, open boxes and unlock new levels. You will get 17 boxes 425 levels. With its really good graphics, you will love to play this game. This is very pocket-friendly and has over 100million downloads on google play store. 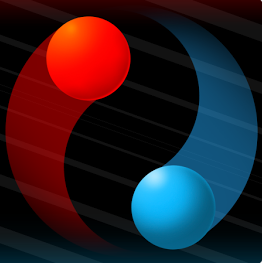 Flow Free is a unique puzzle game. In this game, you have to connect the nodes of the same color and fill the boxes to take another task. After completing one level you will get next level. With each level, this game becomes harder and harder. This game can help you to keep your mind fresh and active. Even these kind of games are must recommend to mental exercises. This game is too enjoyable for those who love mind games or those who love to take new challenges. If you think you are capable enough to play any level so you can play through this time trial section. Here you have to complete the puzzle during given time.This game has over 2000+ free puzzles. The sound effects during the game are simply too good. This game is amazing for those who love playing a driving game. Even this game is more than just a driving game. This game is the perfection of driving games. It completely makes you feel like real driving. 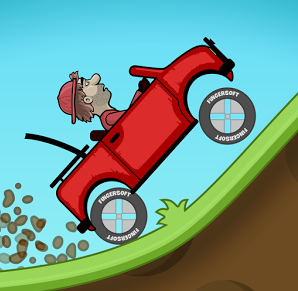 If you are fascinated about driving then we can sure that you will definitely learn a bit from this game. This game gives an environment that feels like you are driving in a real place. You can simply change the views of it to look around you more closely. It contains such great graphics and very lightweight to download as well. This game app has over 100million downloads and over 4 million reviews on google play store. This is another good graphics Car Racing best free offline game. Choose from 8 different games modes to play in the different game environment. Including police chase mode which is available since the old versions of this game. drive the way you want to win the race. Get boost energy time to time on your root on each mode. Go straight to your finish line or Bump other cars. Take some jump from ramp to go faster. You have to be very quick while playing this game. 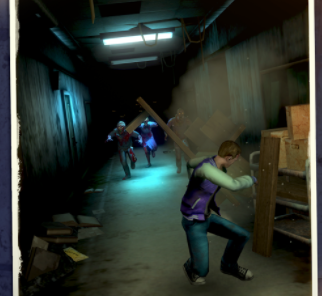 Keep running to survive from zombies on Corridor. Pull stuff from the corridor and through on corridor to get some time to run from zombies. Use the pistol to shoot and keep running. Corridor Z is a unique game with intense Gameplay, start enjoying its cutting-edge detailed graphics with your running skills. This game can be played with two characters. This is one of the unique Horror adventure game. The graphics are really good enough. This has a Fully voice-acted narrative. You have to Use Retrospective Mode to see hidden clues and solve puzzles. 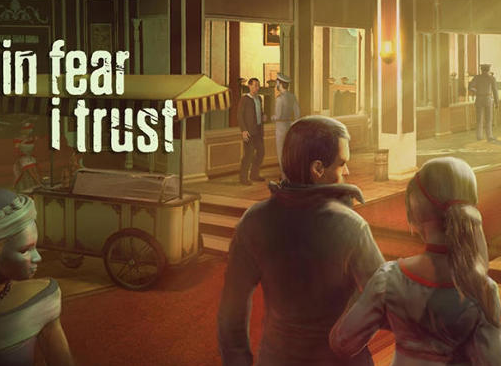 In Fear I Trust impresses have quality and simplicity of gameplay. In first person, you can walk, interact with specific objects, solve puzzles and collect secrets. Controls respond perfectly and even with the suspense. Easy and good controls and challenging puzzles. 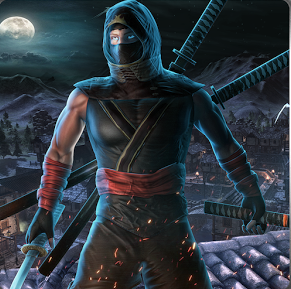 Ninja war Hero is an action combat game. 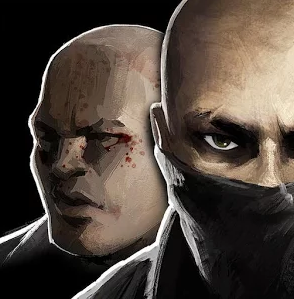 Go to missions to play like ninja and phase criminal on your way. 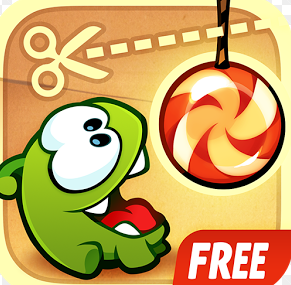 It is kind of very fun, addictive game. You will get full adventure and it is very smooth game to play. Use the big red button to move the ninja forward backward and use the other side buttons to make your move and show your fighting skills to fight evils. Finish levels one by one and get extra adventure and action to each next level. 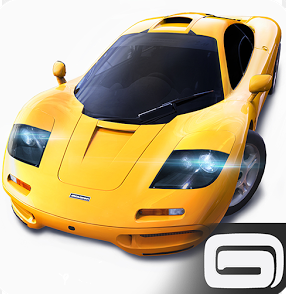 It is a really addictive racing game, Very easy to play with a lot of adventures levels. Enjoy playing in different Hill climbing environment. Earn points while playing and use them later to upgrade your vehicle components to make them perform better than before. 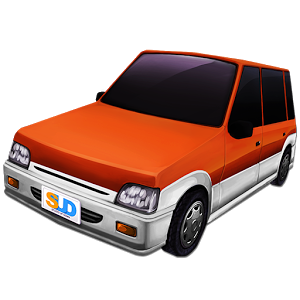 Choose from many different vehicles: bike, truck, jeep, tank, etc. Go through many stages like Countryside, Desert, Arctic and the Moon. Having 27+ levels to enjoy the racing. This game is based on sniper shooting with some really good features. Get your target from the mission, set and feel free to shoot at the right time or whenever you get the clear vision. You will get 20+ weapons that you have to unlock for use, also you can upgrade each of them. You will get 30missions to go through with Realistic Weapon Sound and Recoil. Each next mission you get, will be much harder than previous one. One of the popular sudoku type of puzzle game. 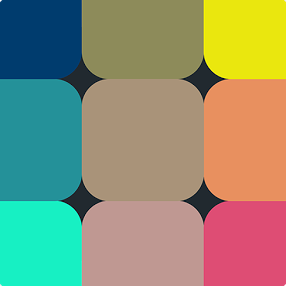 Arrange colors according to their tint, hue, and shade to level up the game. Become a master of colors and enhance your ability to distinguish and arrange colors. 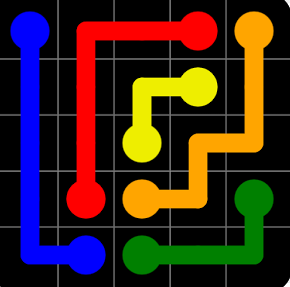 This has a really addictive gameplay with unique color strategy. 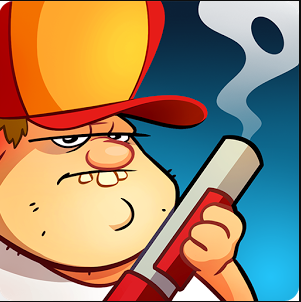 Play over 475 levels with maximized high difficulty with each next level. 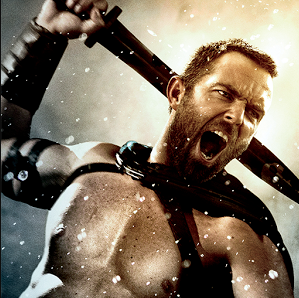 Do you love the movie 300? if yes then you should play this game which is based on 300. Phase the battle and fight your enemies. Use your sword to poke them, really adventures game as it seems. This game has such nice graphics and you can use its tutorial to play the game in an excellent way to finish all the levels and win the battle. However, you will see the same characters in the game which is available on the movie, not all of them but atleast those which you have to fight. After going through the list of car and bike racing game you must be looking for something different. 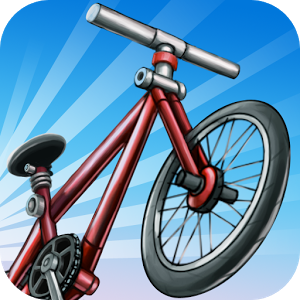 And here is the freestyle bicycle game for you. Make some flips, spins, and grinds to rack up huge high scores. It has a very simple interface with clear graphics. This game has 3 different terrains with 90 cool addictive levels. Make your jump moves and pass each level with ease. The simplicity of this game makes it more enjoyable and handy. Another 3D action game. This game is more than just a sniper game on which you have to set your target to shoot but here you go through more action. Use your skills and weapons to kill the enemies. Go on many military missions in a 3D environment. Once you shoot one enemy all the other enemies get alerted, so be quick and take headshot to kill by one bullet. Start playing to finish your unfinished missions. Over 300 amazing challenges, this game is full of fighting. Fight to 60 different enemies with 7 unique bosses. Collect loot from the game to buy and upgrade items. 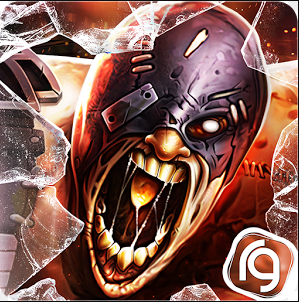 This game does not have such higher 3D effects but it has those amazing action features, also it is very lightweight and available on play store under 50mb. So, if you are looking for a lightweight android game then you will probably love this game. Strategy game lover should play this game. Such relaxing gameplay, no time boundation. Nice and Simple graphics to handle. This is the only lightest game in the whole list and its size only 5mb which is pretty low and won’t take a lot of ram as other game takes. You will love this strategic game as more you play this, the more you solve the puzzle, the more you get better with this amazing game. As the name tells, this game is based on very flat environment and has no such 3D graphics but this game will amaze you with its shooting strategy. It is kind of mixture of shooting and strategy game. With each level, you will be assigned numbers to kill your targets. Go around, find your target, take a headshot or just shoot them to reach your goal. This game can be played in two modes, single and multiplayer. In single mode, you get the headshot challenge and the survival mode whereas multiplayer mode has deathmatch and Team deathmatch. 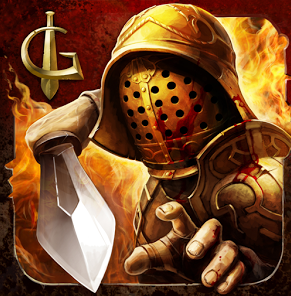 If you want to feel real experience of a bloody gladiatorial combat then this game is for you. You have to be strategic for every level of fight. You will have to fight with multiple enemies at a time. This game is totally free of advertisement or any kind of annoying notification free. Huge inventory of various weapons and armor so, you can choose from various weapons to fight with your enemy. Re-arm yourself during the battle to enhance your fighting skills. More attractive graphics that make this game look amazing with Dynamic Soundtrack. On the list of Best free offline games, Gunship strike is the most realistic helicopter shooting game. This game has really amazing 3D graphics and stunning visual effects. You get the most powerful combat helicopter. Use your weapons like strong guns, missiles to fire at the right time. Choose from a variety of helicopters to use along with different combat equipment. It has 40+ levels in Battle mode & ultimate challenging Boss mode. An excellent snowboarding action game. 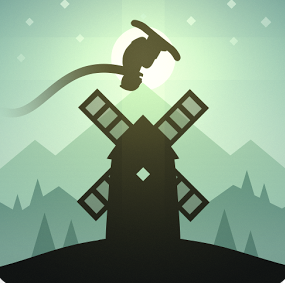 In this game, you have a journey across the beautiful alpine hills and through neighboring villages and more. Along with your way you will rescue runaway llamas, grind rooftops, leap over terrifying chasms and outwit the mountain elders. It is very easy to play game and piece of real action adventure. 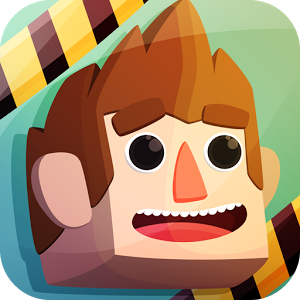 This game is very popular and has very good rating from the users. With Tons of playable characters your mission is to survive through booby traps, devious machinery, and ruthless contraptions clutter the floors. It has over 50 missions to play with. Get mystery boxes with special surprises and be very quick to respond to any trap and power-up your ability. Its developers are almost adding new traps and stages with each update so will never bored playing Smile Inc. by having your quick responding skills for those traps. We have listed almost many popular offline android games from a different variety of game categories. If you think that there are some other amazing offline games which are not given in this list above list or we have missed here then you can let us know in the comment section. We will consider those games on our next update. A nice list of android games but I think its missing “Vector”, my personal favorite!